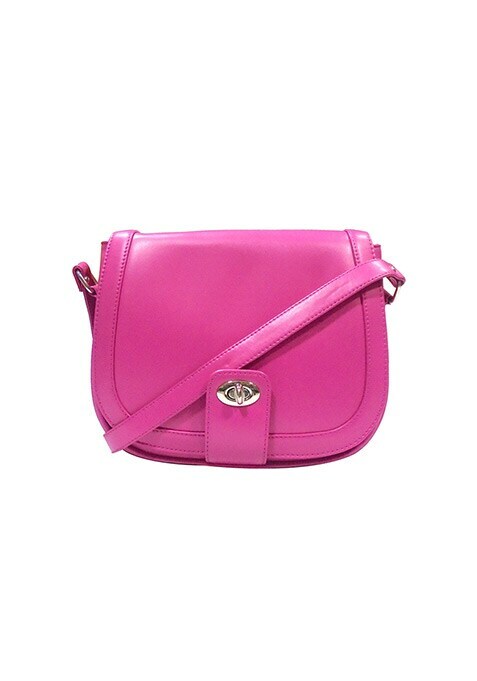 Keep things cute and classy with this awesome bright fuchsia faux leather crossbody bag that features a front twist clasp flap opening and an adjustable shoulder strap. Silver tone hardware. Work It - Looks the best with a printed skater dress and strappy flats during the day.